One of the most distinctive voices in British dance theatre, Luca Silvestrini’s Protein has used a blend of original choreography, text, humour and music to entertain and provoke audiences since 1997. Protein’s shows connect theatrical experiences with the everyday and real-life stories that engage audiences and participants in both on-and-off stage productions. 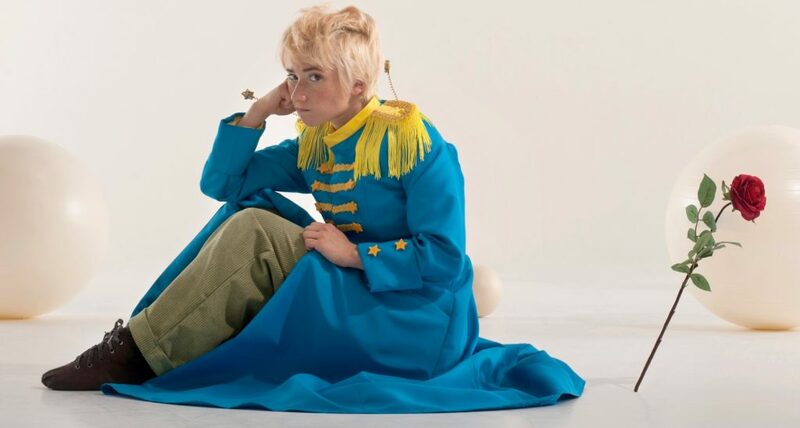 Protein’s latest show is The Little Prince, a dance theatre production for children and grown-ups based on the world-famous and much-loved French novella. Antoine de Saint-Exupéry’s enchanting and enlightened account of The Little Prince is a natural match for Silvestrini’s quirky and humour-filled observations on the human condition. The young boy’s life-story journeys through the exasperating world of grown-ups, describing meeting a king who reigns over nothing and encounters with a businessman obsessively counting stars and a vain man craving admiration from all who pass by. With Protein’s trade-mark mix of dance, text, music and fun, audiences are encouraged to re-imagine the world through their hearts, embracing a sense of grounded universality, and reconnecting with the child that’s in all of us.